Thank you for joining our event. We have a wide range of participants – those that have been on a gluten-free diet for several years, and those just beginning. So for the next few days we will be going over some of the basics of a gluten-free diet. For the newcomers: gluten is the protein found in wheat, rye and barley. That’s right….this means no regular bread, pasta, pizza, cookies, and cake. But don’t worry….there are tasty gluten-free alternatives. People that have celiac disease, gluten intolerance/sensitivity develop an adverse reaction when gluten is ingested. This immune reaction can show up an hour to a few days later after eating gluten and can show up in WIDE range of symptoms. Some experts now believe that gluten intolerance may be as common as 1 in every 20 Americans. So you are not alone… the word is spreading about the effects of gluten…. and spreading quickly. 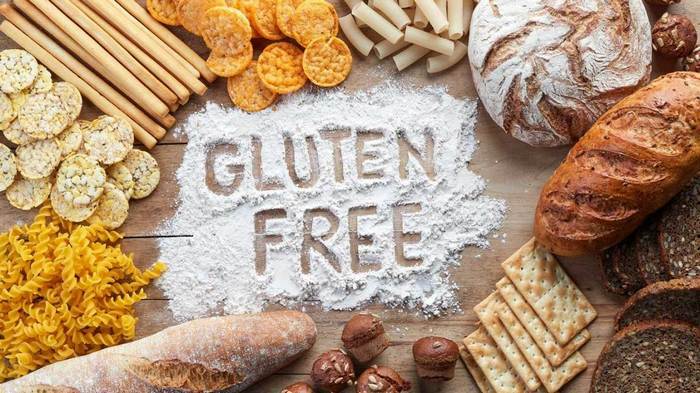 The more awareness we bring to this situation, the easier our lives will be: more restaurants offering gluten-free meals, lower cost of gluten-free specialty products, and tastier gluten-free foods. So thank you for joining and spreading the good word…we will be posting some important information for our challenge in the next few days. To follow along the daily posts, to ask questions, leave comments, and post pictures, please visit our Facebook event page. CLICK HERE. We’re all excited for this fun event. Make sure to tell your friends and family, so they to can join along on this wonderful challenge. 1. If you need help finding gluten-free products at the grocery store, make sure to check out our Gluten-Free Grocery Shopping Guide. This book will definitely help you shop for GF foods. 2. Unlike most diets, this gluten-free diet is not intended for weight loss. It is intended for anyone interested in finding out if gluten is negatively affecting their health, and to help those that have been diagnosed with gluten intolerance or celiac disease master a gluten-free diet. Write down your objective for this diet challenge before you begin, so you can stay focused on your goal. Is it: To find out if gluten is affecting your health? To support a friend that is already on a gluten-free diet? To learn new gluten-free tips and recipes? Because you found out you have celiac disease or gluten intolerance and don’t know how to start a gluten-free diet? Because you keep hearing about a “gluten-free diet” in the media and want to know what it is all about? 3. If you have not already purchased Cecelia’s Marketplace Easy 30 Day Gluten-Free Diet book, you may want to consider purchasing it, since we will be following along in it day by day. Please click here to learn more: http://www.ceceliasmarketplace.com/gluten-free-diet/ If you will be following along without the book, please remember to carefully check the ingredients of all the foods you will be eating. Gluten can be hidden in artificial flavors, natural flavors, sauces, seasonings, salad dressings, fillers and additives. A good rule of thumb to remember is that: all fresh fruits & vegetables, fresh eggs, fresh meat, poultry and seafood (non-marinated and unseasoned), plain rice and potatoes are gluten-free. For those of you that have the book, please refer to our “mini gluten-free grocery shopping guide“ on page 167 to confirm the gluten-free status of questionable products. 4. On this gluten-free diet, you will be preparing the majority of your meals at home. For some of you, this may be unfamiliar territory. As for others, you may be already be a pro in the kitchen. In either case, you should prepare your kitchen to be “gluten-free friendly”. Gluten crumbs and residue could potentially contaminate your gluten-free meal. This is especially important if you share a kitchen with a gluten eater. 1. Use an uncontaminated sponge or new sponge to wash all cooking/preparing surfaces with soap and water. 2. Clean and inspect pots, pans, utensils and cutting boards for gluten residue. 3. Use clean kitchen hand towels. 4. If grilling, place aluminum foil over the grilling surface. 5. Avoid wooden utensils. Gluten residue can stay embedded in the wood. 6. Use a separate toaster for gluten-free bread, and rice cakes. If this is not an option, toast your bread on a warm frying pan. 7. Do not deep fry foods in gluten contaminated oil. 8. Use squeeze bottle mayo, mustard, ketchup and jam/jelly to keep out crumbs from regular bread. 9. Label your margarine, butter and peanut butter to say “Gluten-Free Only- Do not Contaminate”. 5. You may want to look ahead in your book and do a little planning ahead on your grocery shopping. Check out the recommended breakfast, lunch and dinner choices for the entire week and make a list of foods for the grocery store. Remember: those items marked with a “check mark” need to be selected from our mini grocery shopping guide from the back of the book, otherwise you may run the risk of buying a product that contains gluten. If certain meals do not appeal to you or you need a quicker option, you may make substitutions for any of our other options. Our breakfast choices are listed on page 26, lunch choices page 27, dinner choices page 28, snack choices page 30, and drink choices 31. Now-a-days most large grocery stores have a gluten-free section. Most gluten-free breads will be stored in your grocers’ freezer section. If you live in a rural area and do not have access to gluten-free specialty items (bread, pasta, buns), all of these items can be purchased online. For a list of gluten-free specialty companies, see page 186. These items can sometimes be a bit pricey, so look for promos or coupons on their websites. You and your wallet will be happy to know that we have tried to minimize the need for these specialty items for the next 30 days and have concentrated more on whole foods and easy to find brands when preparing your meals. 6. For those of you that have Cecelia’s Marketplace Easy 30 Day Gluten-Free Diet book, please carefully read the “Note To The Reader” on page 10. This will give you a better understanding of the layout of the book. All of our recipes are meant to serve two 150 lb persons. So whether you have a small or large appetite, you may need to adjust your recipe amount accordingly. A quick tip: if you have dinner leftovers, use them as the next day’s lunch. 7. A strong support system is definitely a plus when trying any new diet. For all of us at Cecelia’s Marketplace and the majority of you, going gluten-free is not only a diet, but is a lifestyle change. Speaking from experience, we know how extremely frustrating it can be at first, especially if a gluten-free diet is mandatory for your health. Make sure to tell your friends, spouse, and/or co-workers what your goal is for this month and fill them in on what you can and cannot eat. Maybe one of them will even join you on the journey! Most larger cities now have gluten-free support groups, where you can share your stories with others on a gluten-free diet, learn new recipes, find gluten-free restaurants in your area, and sample gluten-free foods. For a list of nationwide support organization, see page 19. 8. A day or two before we officially begin the Gluten-Free Diet Challenge, take a moment to jot down how you are feeling. Write down on a scale of 1 to 10 the following information. (1 being NEVER/I FEEL GREAT and 10 being OFTEN/I FEEL AWFUL.) Keep this for your own records. Save it and we will use it to compare with your results at the end of the challenge. 1. Do you have abdominal bloating or pain? 2. Do you have frequent headaches? 3. Do you have frequent gas or burping? 4. Do you have acid reflux? 5. Do you feel tired during the day? 6. Do you have frequent diarrhea or constipation? 7. Have you been diagnosed with anemia? 8. Have you been diagnosed with osteoporosis? 9. Do you ever have heart palpitations? 10. Do you have tingling/numbness in your hands or feet? 11. Do you have restless leg syndrome? 12. Do you have any strange itchy bumps on your skin that won’t go away? 13. Do you have psoriasis? 14. Do you sleep soundly throughout the night? 15. Do you have trouble concentrating? 16. Do you have brain fog? 17. Are you struggling with infertility? 18. Do you have frequent panic attacks? 9. As you may have already noticed, each day has a “Today’s Menu”, which lists recommended meals for breakfast, lunch, dinner and 3 optional snacks, followed by a dinner recipe with a color photo. As we mentioned before, if certain meals do not appeal to you or you need something more “on the go”, you can choose from any of our other meal options (pgs. 25-31) If you are a “cereal and milk type” of breakfast person, you could potentially have that every morning as long as it is gluten-free. The same goes for your lunch and dinner choices. However, we have designed this plan so that your options are continuously rotating and that you get a wide variety of nutrients and flavors, so try to stick to the plan if it is feasible. 10. Now that you have a gluten-free friendly kitchen and gluten-free groceries stocked for the week or at least for the next few days, you are ready to begin the challenge! Now we need to get you mentally prepared…we are going to try to make this as easy as possible. . Get into the mindset that this diet may change your life. Imagine…. no more migraines, no more stomach pains or bloating, normal trips to the bathroom, a good night’s sleep, no more itchy rash, no more acid reflux medication, and the list goes on and on. So keep your focus, do not “cheat”, stay open-minded and try our recipes (even if you are unfamiliar with the ingredients). Who knows- maybe quinoa will turn into your favorite side dish.